I hope you all had a nice Easter break. Easter means different things to different people - from a significant religious occasion, to over-indulging in chocolate, to a few days' break from work. I had the great pleasure of meeting the Royal Agricultural Society (RAS) volunteer management team headed up by Rebecca Barry, General Manager of Human Resources, as well as some of their volunteer crew. I was very impressed with the RAS' volunteer management program, and the way they systematically adopted the National Standards which has been an outstanding success. You can read more about how the RAS implemented the standards in this edition of The Voice. I have volunteered to be part of the 10th St Vincent de Paul CEO Sleepout on Thursday, 18 June. More than 105,000 Australians experience homelessness each year and 44% of those are women, many accompanied by young children. I'm honoured to be part of the sleepout and highlight the important work of our member organisations to help combat homelessness. There has been a great deal of interest in our community conversations on volunteering and there are still some spots available if you haven't registered yet. Otherwise see the link to the online survey in this edition of The Voice and share your views. We had a very informative kick-off session with The Centre for Volunteering's volunteer team last week, and I'm looking forward to seeing those of you attending our Bathurst and Dubbo worskhops next week. Don't miss the opportunity to nominate volunteers for the NSW Premier's Volunteer Recognition Program. Nominations close 20 April. If you were one of the 800,000 visitors to the Royal Easter Show this year, you would have noticed the great work of the Show's 380 special event volunteers. Congratulations to those volunteers, many of whom are recruited and referred every year by our Volunteer Referral Service. Our CEO Gemma Rygate met some of this year's volunteers as part of The Centre's long association with the Royal Agricultural Society (RAS), and spoke to the RAS General Manager, Human Resources, Rebecca Barry, who leads the volunteer program. The Centre interviewed Rebecca about the RAS volunteer program. How did the Show's volunteer program come about? "Our volunteer program is a legacy of the Sydney 2000 Olympics.The Royal Easter Show was the first test event for the Olympics, as it was the first big event at the Olympic facilities in Homebush. The Show was the testing ground for how volunteers, transport systems, ticketing and all other aspects of event management would work at the Olympic Games. What was your vision for your volunteer program? Our vision was to build a program that rivalled any event staff or volunteer program in the world, including after the Olympics. 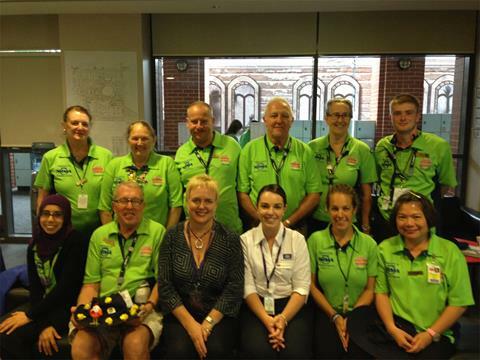 The Royal Easter Show is the largest annual event in Australia and it just would not happen without volunteers. How did you develop your program? The best tip I got was from The Centre's then-CEO Lynne Dalton. The Centre told me that the key to developing a world-class great volunteer program was to treat volunteers like paid staff. They said to apply the same policies and procedures, including induction, training, communication, support and feedback. Do you use the National Standards for Volunteer Management? Yes. We're really proud to be 100% compliant with the National Standards. It took us 5 years and it wasn't easy but it was an incredibly positive journey for our program. We were totally committed to taking our volunteer service to the next level. How did you adopt the National Standards? When we first looked at the Standards, it was pretty daunting. But our philosophy was, 'How do you eat an elephant? One bite at a time.' So we broke it down into chucks and focussed on, say, 5 areas of the standards each year, and took our volunteers on the journey with us. How did your volunteers respond? Great, mostly, even though naturally it was difficult for some volunteers who had been with us for a long time. From day one we were completely up-front and transparent with our volunteers and we didn't shy away from how difficult it would be. We also didn't shy away from tough conversations. At the time, we had about 250 volunteers and all of them had to be re-interviewed. We spent the next 12 months with our volunteers in implementing stage one of the standards. While a very small number self-excluded and left, the overwhelming majority of our volunteers stuck by us and lifted. Looking back, our biggest critics at the start are now our strongest advocates. They've seen the improvements. Each year we set a target. We told our volunteers which aspects of the standards we were focussing on that year. Then at the end of the year, we talked to them about what we said we were going to do, what we actually did do, and what we learnt. That allowed us to see how far we'd come and kept us on the right path. What's next for your volunteer program? We're piloting an alumni program with about 8 volunteers this year. We want to recognise volunteers who have done 10 shows or those who are medically retired, after 5 or more shows. We want to give our alumni volunteers free show entry, access to our volunteer green room on that day, and our newsletter. Being a show volunteer is pretty demanding because you're on your feet a lot. Show volunteers do a minimum of 8 shifts during the period and each shift is 6 hours long. It's especially important to recognise our volunteers who come back year after year. How many staff are involved in the RAS volunteer program? We have one full-time volunteer coordinator who spends 100% of their time on volunteer management. Another two RAS staff help with the program as part of their role. What are your key tips on volunteer management? Treat volunteers as staff, break big tasks into small chunks, and always be transparent with your volunteers - even when it's hard." Thanks to our members who have completed our Work for the Dole survey and we urge anyone who hasn't done so to take part in the survey before it closes next week. The Centre is collecting information on your views and experiences of the Work for the Dole program so we can advocate on your behalf prior to the Australian Government's introduction of the program on 1 July this year. The more views we capture, the better case we can present to the Australian Government so that our members' needs are meet. Responses so far are very interesting and relevant, especially from those members who are actively participating in the Work for the Dole trial. The Work for the Dole Program is being trialled in selected regions before coming into effect nationally on 1 July 2015. The survey should only take 8-10 minutes to complete. We look forward to sharing the results of this survey with members once completed. The Centre's annual conference is shaping up to be our best yet, with a great line-up of interesting speakers and workshop opportunities. Please save the date! More details coming soon! The Centre put the spotlight on diversity in volunteering at the City of Sydney's Living in Harmony Festival last month, by hosting a forum on cultural diversity and social inclusion in volunteering. Led by MC Andrew Cummings, from Multicultural Youth Action Network, our 'Volunteering for All – Tips and Trends’ forum, at Customs House, Circular Quay featured an outstanding panel of seven experts in diversity and volunteering. Thanks to our panel mebers form Setlement Services International, Australian Red Crioss, Fotball United, UTS, Multicultural NSW and The Centre for Volunteering. The Centre's Manager: Youth, Community Engagement and Research, Jacinthe Brosseau, said the forum really opened up the conversation around diversity in volunteering. "There was so much experience and interest in the room; we had a really inspiring and practical discussion on the benefits of diversifying your organisation's volunteer base and how to do it well," Jacinthe said. "It was a great opportunity to make connections with like-minded organisations and swap notes about what works and what doesn't when recruiting and managing volunteers from diverse backgrounds." The concept of ‘volunteering’ is not familiar to some cultures. Helping people understand the concept and actions behind the term volunteering, and its benefits, is key. Police checks need not be an obstacle to engaging asylum seekers as volunteers. There are always challenges...be open to new ideas and ways of thinking so the volunteer experience is mutually beneficial. Who doesn’t volunteer with you and why? What is meaningful participation? How can it be achieved in one’s community? Is your organisation ready for volunteers from diverse backgrounds? How flexible are your recruitment methods? How do you promote volunteering to people from diverse backgrounds? How can you support potential volunteers already facing barriers in the community? Think about volunteering in a broader sense – what is our collective responsibility? • Have feedback and debriefing sessions for volunteers. • Use existing ethnic or cultural networks to recruit and engage volunteers from specific backgrounds. • Be aware of cultural sensitivities e.g. having appropriate dietary options. • Have a champion or role model/mentor in the organisation and community. 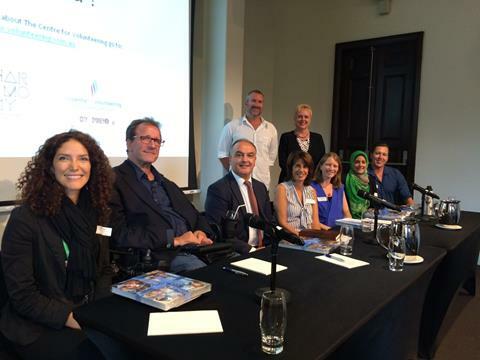 A huge thank you to our MC, panellists and audience for sharing your expertise, experiences and insights on the day. We look forward to continuing the conversation on diversity. Conflict and disagreements between people in the workplace can arise due to different points of view, ideaology, cultural differences and unhealthy competition. Volunteering organisations are no different and The Centre receives enquiries from volunteers and volunteer managers when conflicts arise on how best to resolve them. The best way to deal with conflict is obviously to have systems in place to help prevent it in the first place. But of course that's not always the case and even if it is, conflict cannot always be prevented. That's why we all need to know how to identify signs of conflict early, and learn how to deal with them. This month, the Centre's Networking Event features two experts in conflict resolution from Negocio Solutions, with specific advice for volunteer organisations. Managing volunteers offers unique challenges. Join us at our April workshop to learn some simple yet effective ways to prevent, identify and manage conflict. 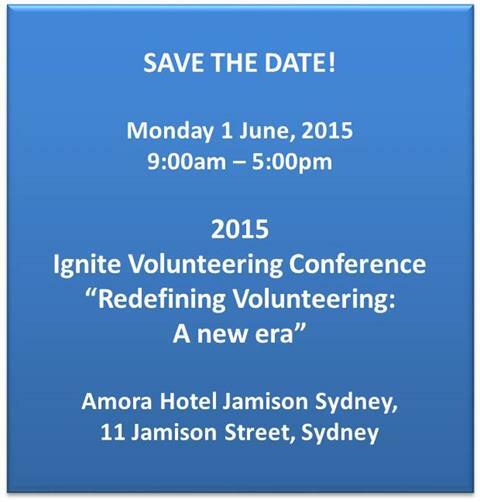 This will help your organisation promote a stable and happy volunteer workforce. Join us for this special opportunity to hear from Jay Qin, Mediation Manager and Stephen Lancken, Managing Director from Negocio Resolutions who will share their extensive experience. Volunteers, interested individuals, and organisations that benefit from the work of volunteers are all invited to participate in community conversations on volunteering across NSW from 20 April to 7 May 2015, both face-to-face and online. 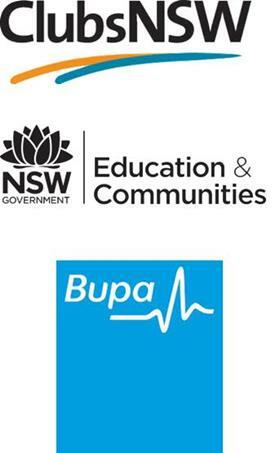 The workshops will be jointly hosted by local organisations and The Centre for Volunteering and supported by NSW Volunteering. We have had a good response to the invitation we emailed to members and stakeholders. Anyone who is interested in attending but who has not yet registered please click on this link to let us know you're coming : Workshop locations. A reminder email will be sent to all registrants 48 hours prior to workshops. For those unable to attend but would like to join in the discussion please click on this link to participate in the online discussion. Thanks in advance for being part of this conversation. We look forward to seeing you at one of our workshops. Earlier this year, The Centre for Volunteering received the news that the Federal government would substantially reduce funding. Naturally, this is extremely disappointing, as The Centre does so much to support the sector. Its role in supporting organisations and volunteers to continue their generous spirit of giving is so valuable, and is one of the key factors in building a cohesive and caring community. The Centre strives to be a professional, well-governed organisation, dedicated to delivering services that strengthen and empower, and provide effective leadership to those we serve..
I’d like to take this opportunity to thank our staff and volunteers, who work with such passion. We all know what a rewarding experience volunteering can be– both for the receiver and the volunteer. Do you have a flair for presenting? Is volunteering something you are passionate about? Then you're the star we are looking for! Each Friday, The Centre runs a Bridge to Volunteering workshop. Bridge to Volunteering is an introductory session aimed at helping new or existing volunteers get the most out of their volunteering experience. The session provides information on volunteerism, the benefits and available opportunities. However, to make these sessions happen we need engaging and articulate volunteer presenters. So if you you're in a position to share your presentation skills with the Centre, join an amazing team of other volunteer presenters and motivate the volunteering community, then this is the role for you. A full description of this opportunity is on the Go Volunteering webpage or to get more details and to register for Bridge to Volunteering visit our events page. We look forwar dto hearing from you! Having a good working relationship with major donors, corporate partners and government is critical for NFP organisations. NFP organisations that typically have a better relationship with their partners spend more time building and managing these relationships, this includes increased communication. While frequent contact is important, quality content and presentation is equally important in promoting your organisation and highlighting the issues you address. This means each contact you have with your partners needs to be clear, concise and have purpose, if you want the communication edge. So does everyone in your organisation have the presentation and communication skills necessary to represent your organisation at these important moments? If not, the School of Volunteer Managerment offers a Speak Up! Speak Out! Workshop that contains practical exercises that teaches, in a fast and fun way, the core competencies for communication. The workshop is suitable for anyone irrespective of their level of skill or experience in public speaking or making presentations as it will help participants develop self-confidence and trust in the speaking process. Participants will also develop an appreciation for structure, content and style when communicating. Having a team with effective communication skills can certainly be a differentiating feature for your organisation. The next Speak Up! Speak Out! Workshop is 7 May. Click here to secure your position. The Centre for Volunteering has recently been contacted with questions and concerns regarding the impact of proposed aged care reforms on volunteers and volunteering in the aged care sector. The Commonwealth Home Support Programme (CHSP) documents have been released for public consultation https://www.dss.gov.au/our-responsibilities/ageing-and-aged-care/aged-care-reform/commonwealth-home-support-program. • the draft Good Practice Guide for Restorative Care Approaches (incorporating Wellness and Reablement). These documents are being released by Government in draft form for industry feedback, to be used to inform the final documents. 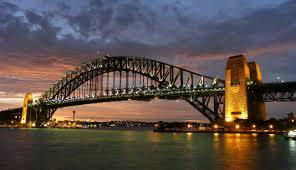 The consultation period ends 5.00pm AEST 15 April 2015.